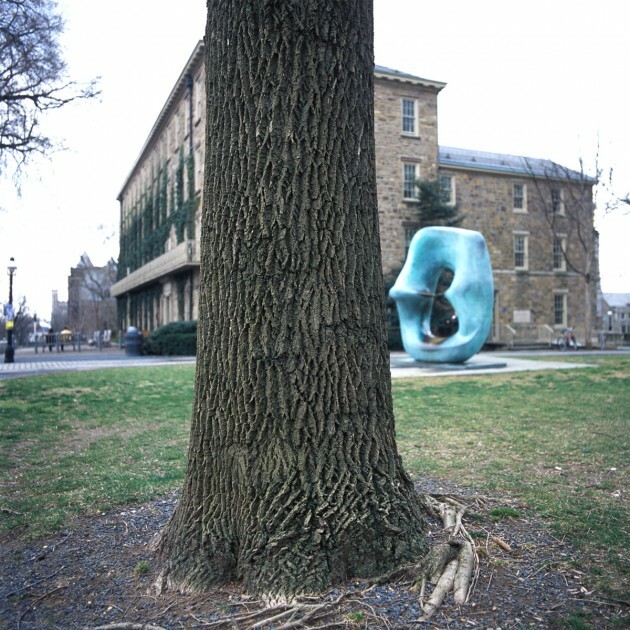 We have been on college campuses for over half of our life as students, professors and visiting artists. 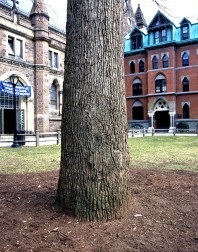 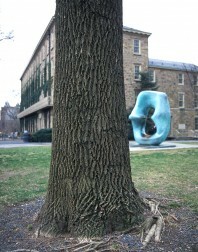 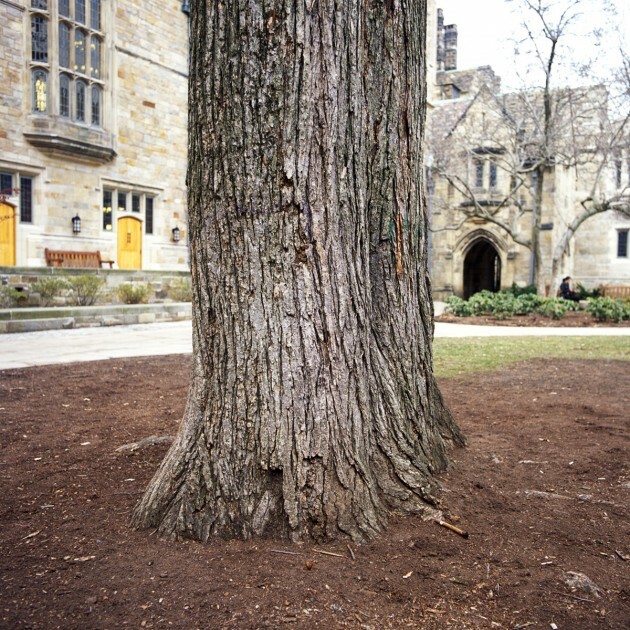 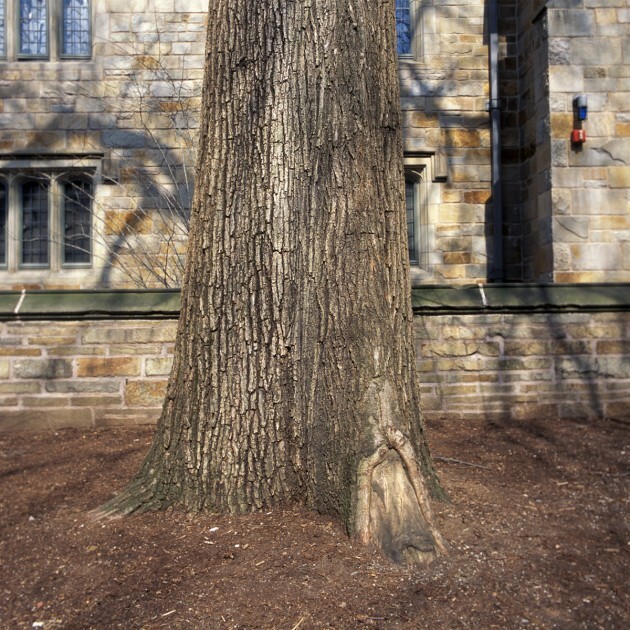 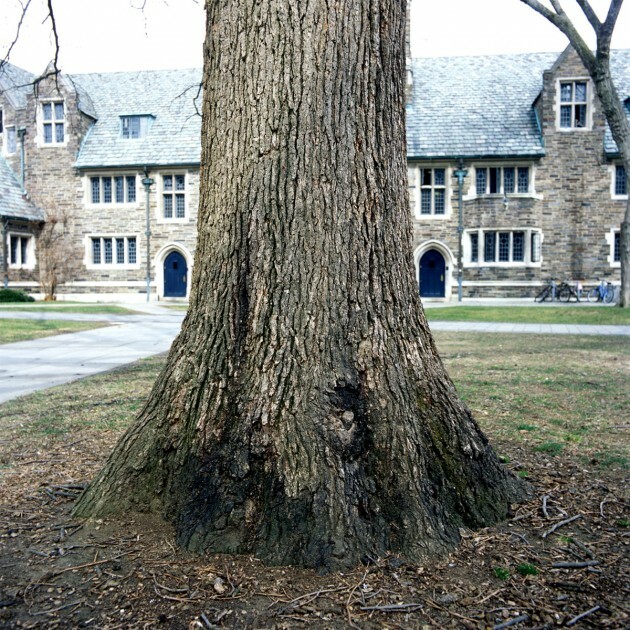 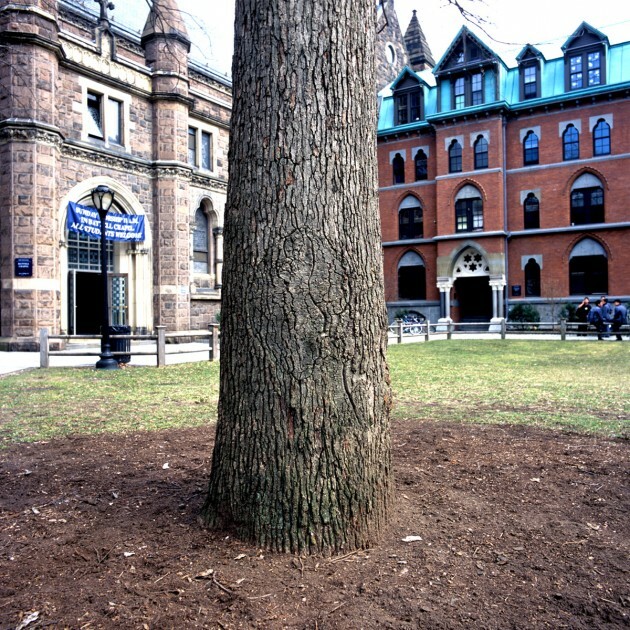 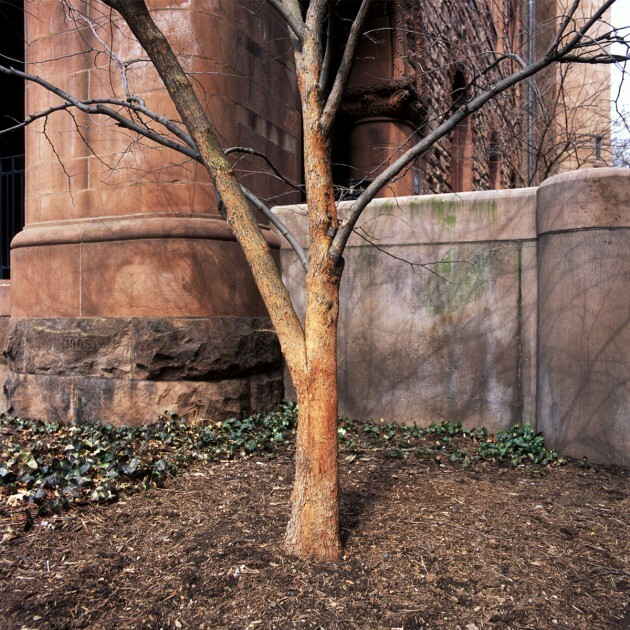 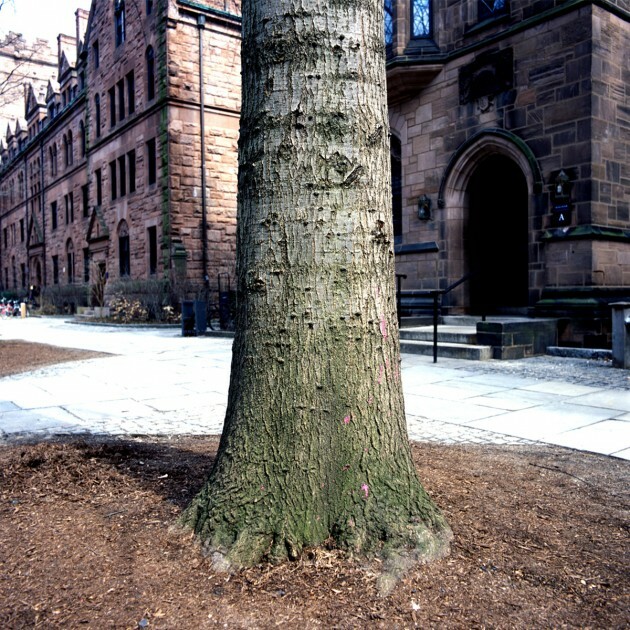 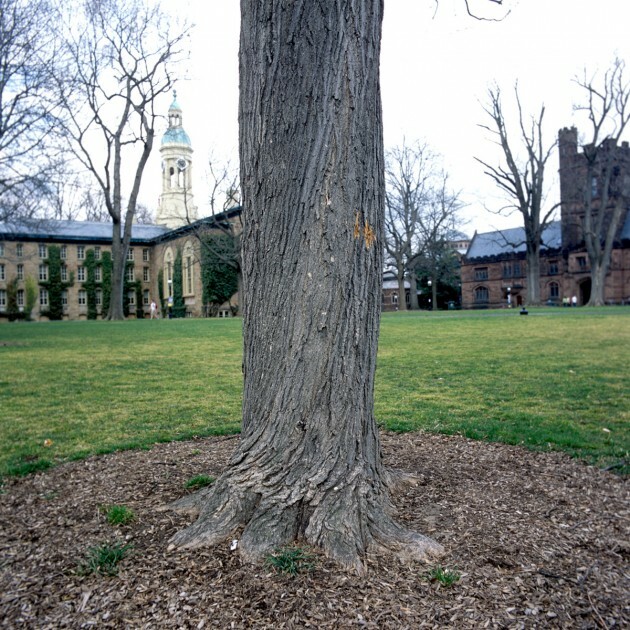 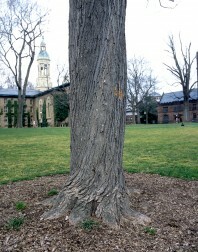 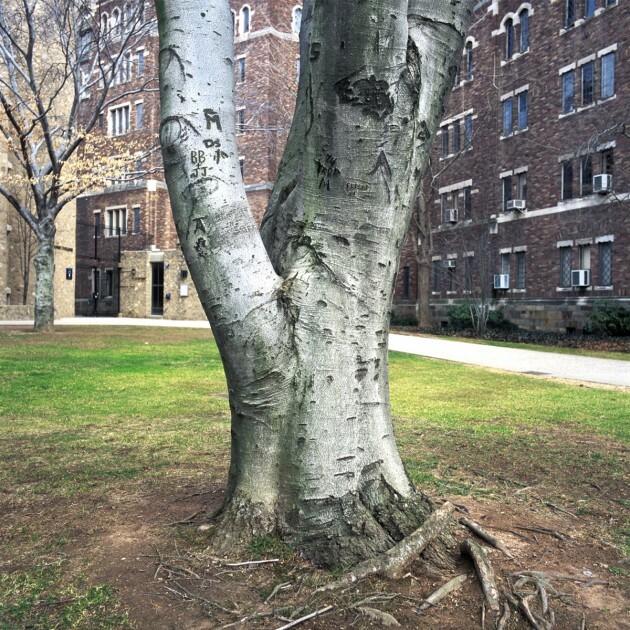 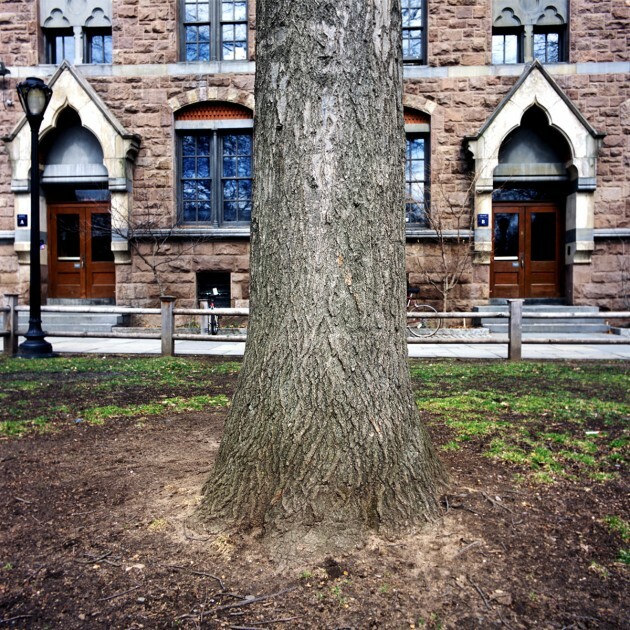 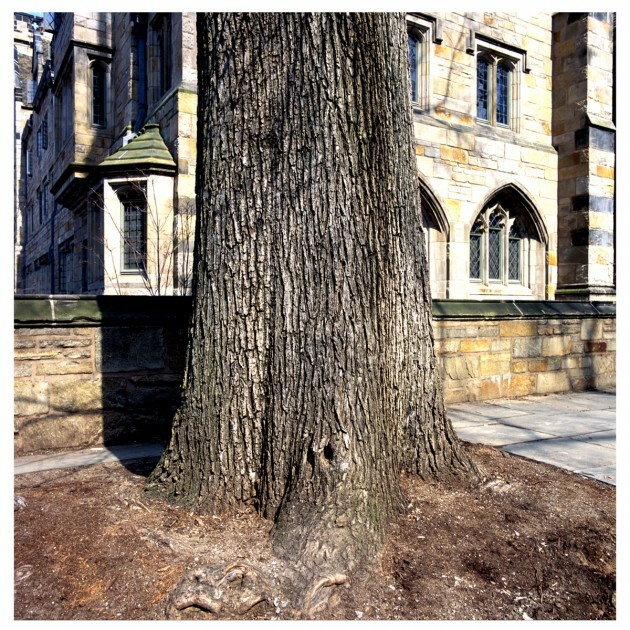 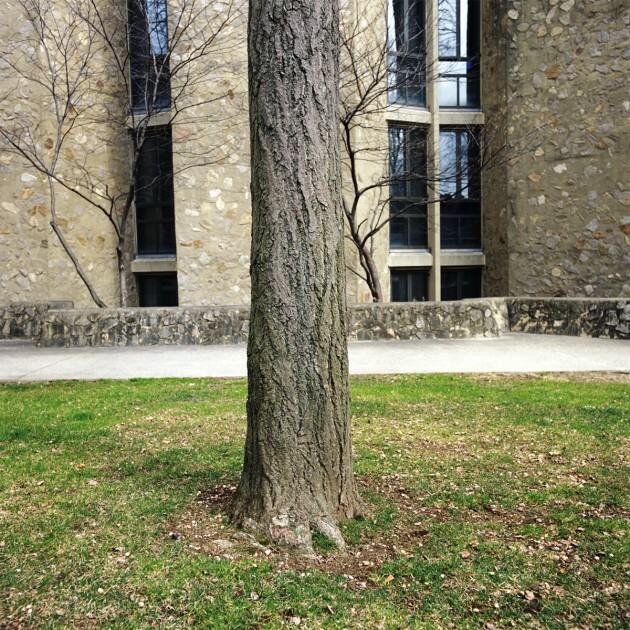 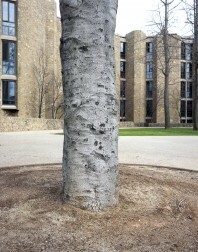 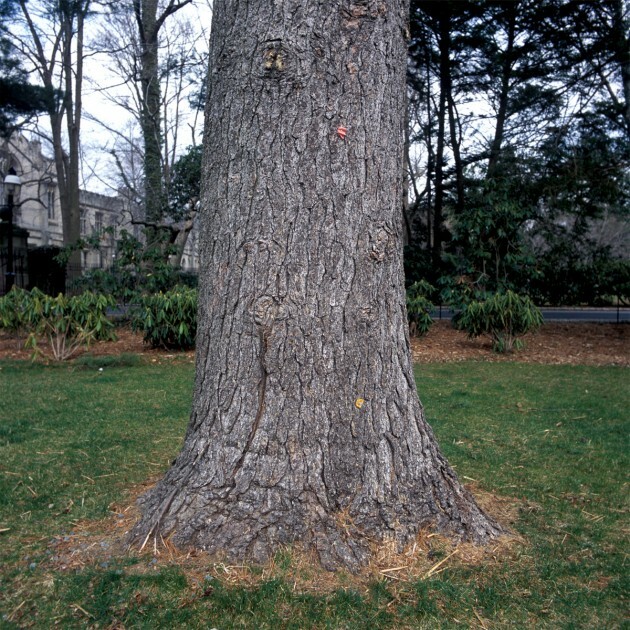 With our many visits for New Catalogue we have been welcomed by landscapes at Big Ten and Ivy League Campuses that are noted for their park like atmosphere with tree-filled quadrangles. 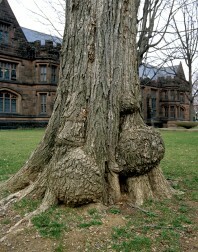 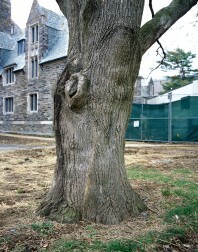 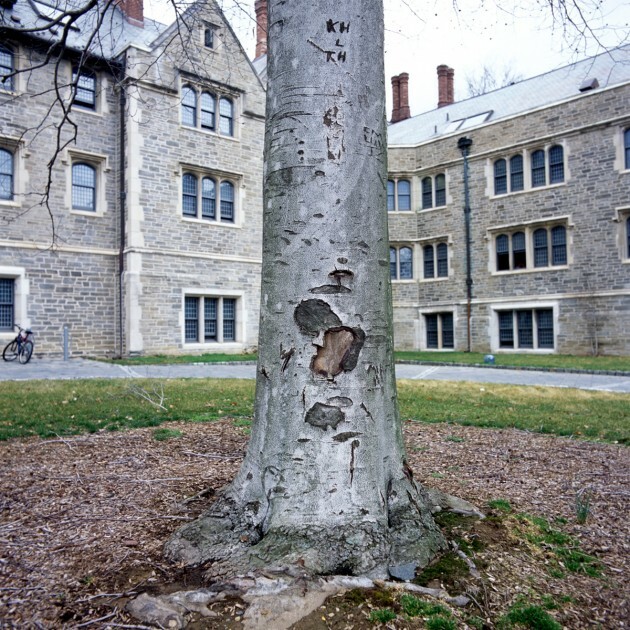 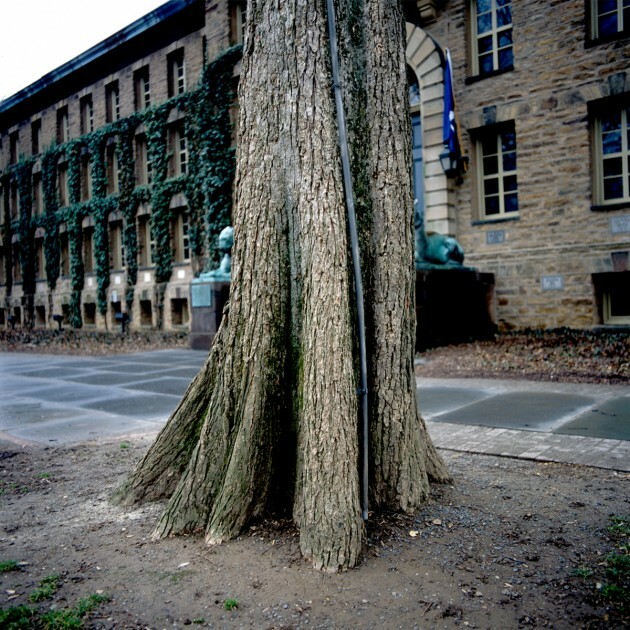 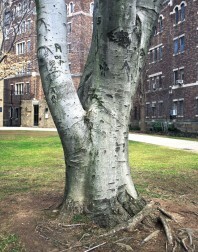 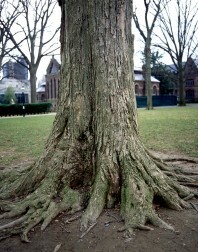 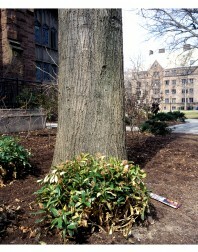 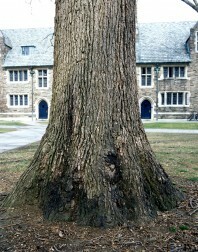 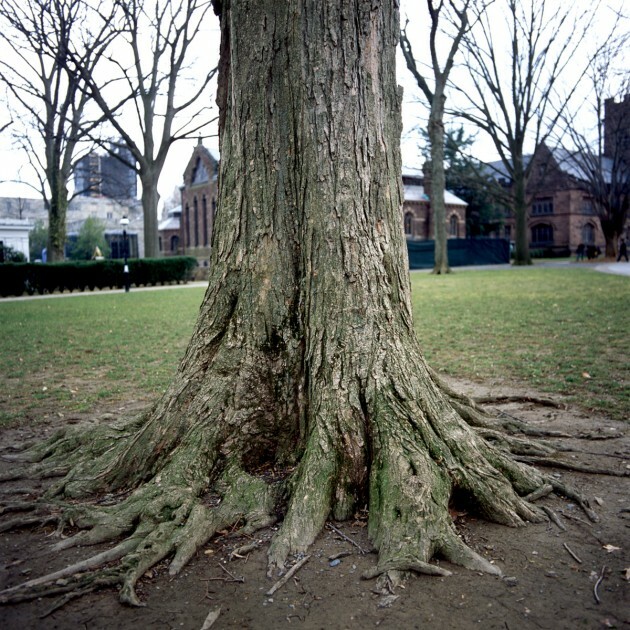 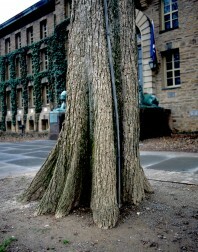 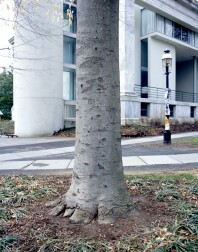 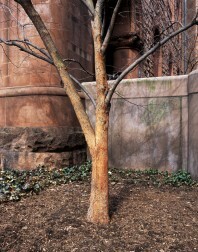 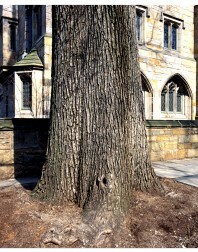 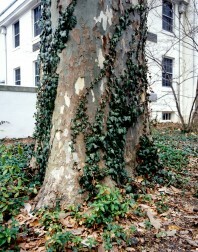 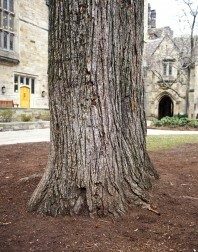 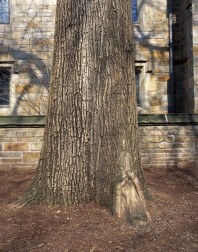 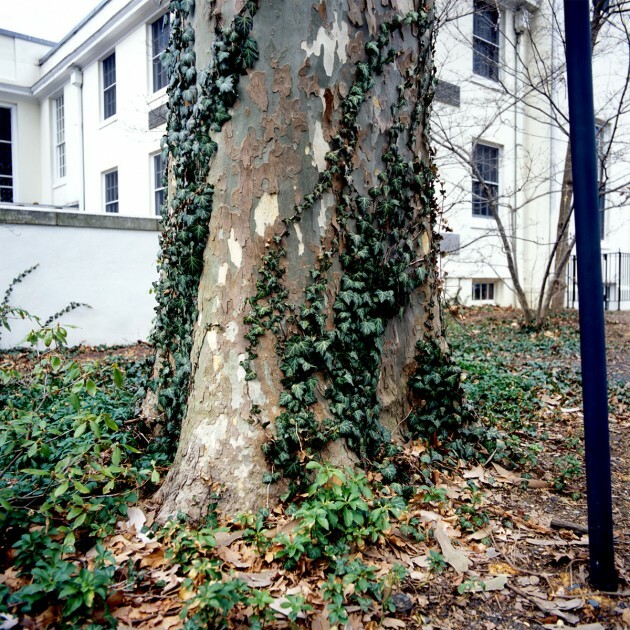 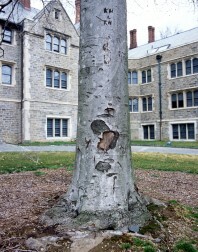 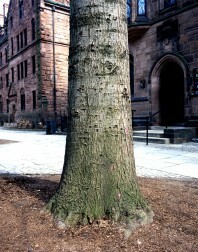 It was with this in mind that we decided to photograph Ivy League Tree Trunks. 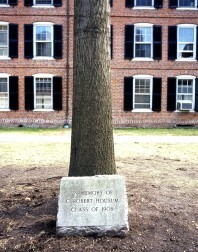 To date, we have made it to Dartmouth, Yale, Harvard and Princeton. 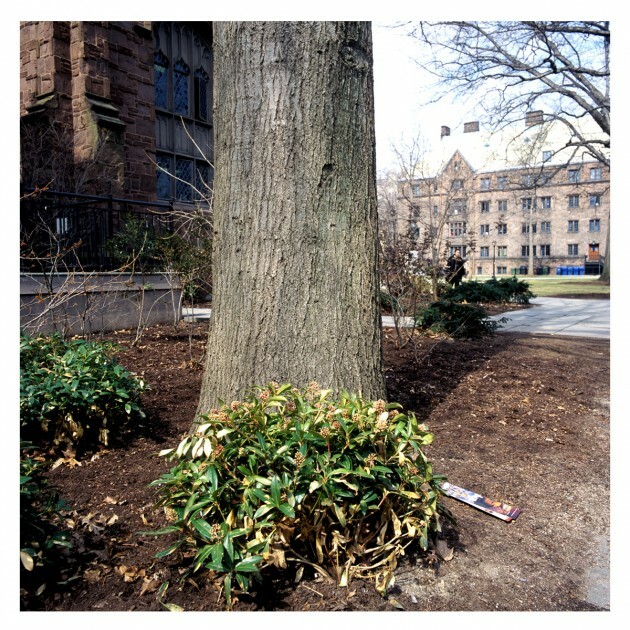 We had to wait for spring to do the project because in the autumn there were too many leaves on the ground and in the summer there were just too many shadows. 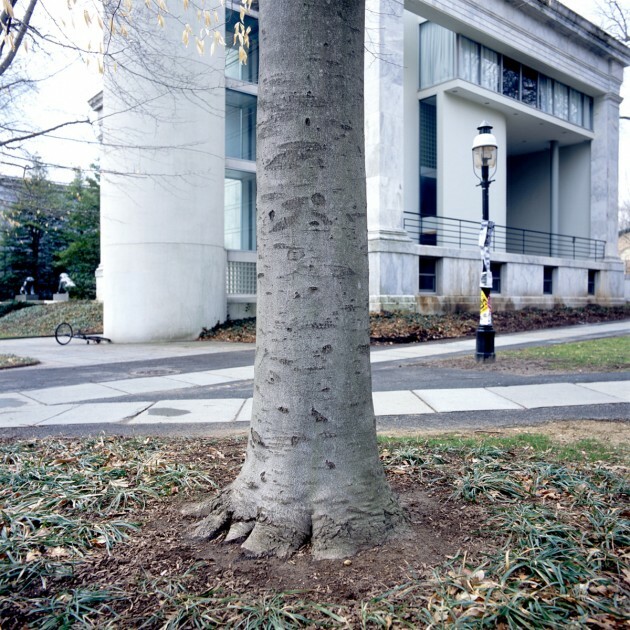 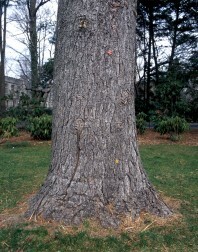 We also photographed each tree from a tripod 38 Inches off the ground and six feet from each tree so you could compare each tree to another in scale. 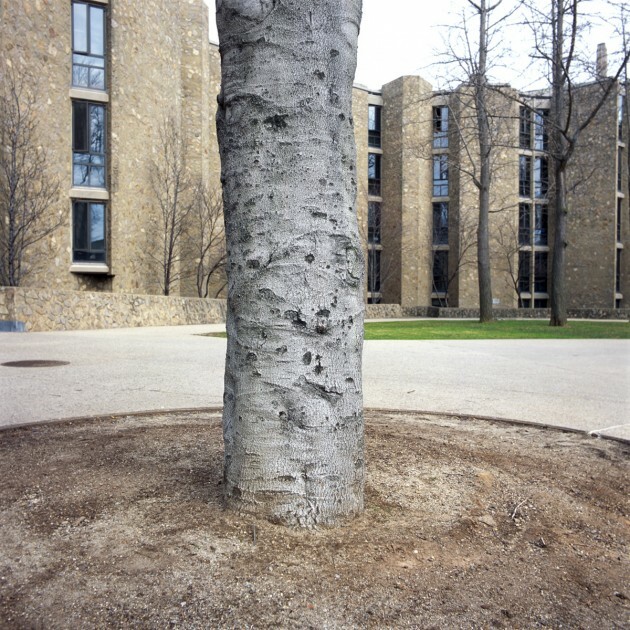 In many ways this gesture is a bit of an homage to the Becher’s rigor and discipline that impressed us as students. 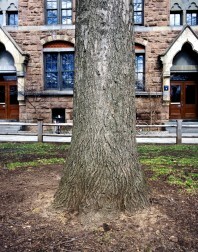 We added to the idea with photographs of Junior College’s with mixed results. 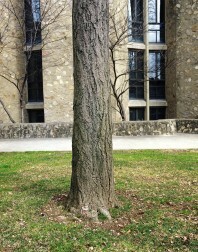 Junior College campuses offer up mall-like parking lots due to their commuting student base. 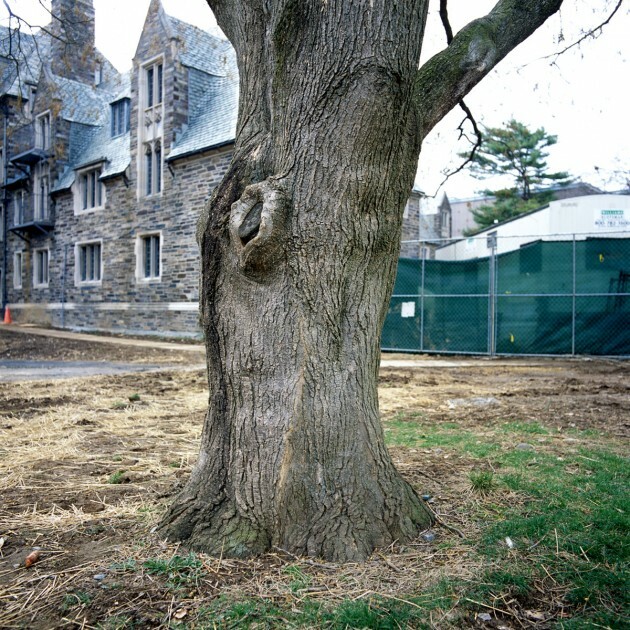 Jonathan, on a trip to California, photographed some overflow parking lots at a junior college. 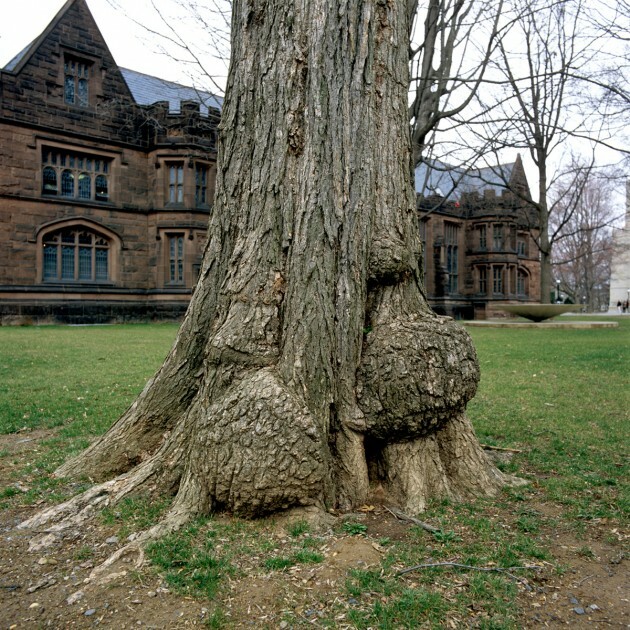 They look like a wilderness cut from Cormac McCarthy’s The Road. 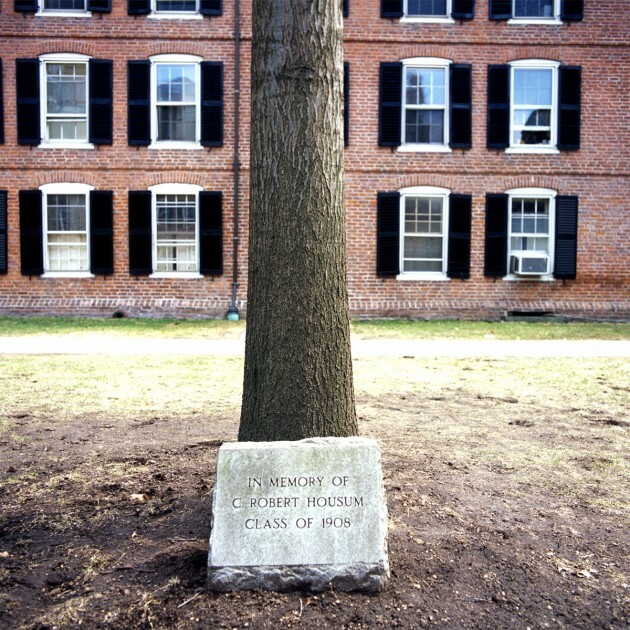 We are not finished with this idea and hope to return to it this year.